As I left the theater having just watched “Murder on the Orient Express,” there was one thought on my mind. I am profoundly frustrated with the lack of either love or hate I have for this film. Noting how excited people seem to be to see this movie, I figure I’ll do my civic duty to share my thoughts on this lackluster film. 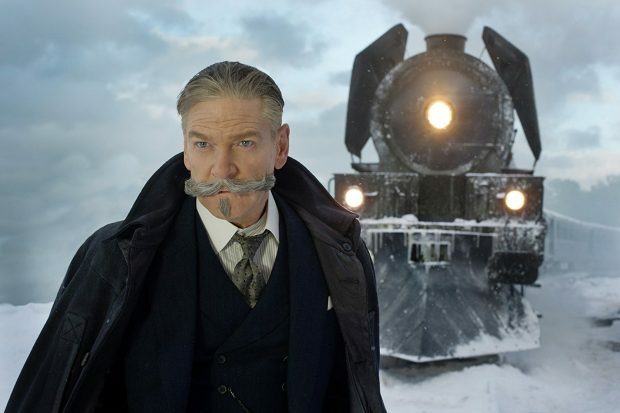 Hercule Poirot (Kenneth Branagh, “Dunkirk”), who so eloquently describes himself as “probably the world’s greatest detective,” is aboard the Orient Express when a passenger is murdered after the train is halted by an avalanche. The detective must discover which of the 12 passengers committed the crime before the train is freed from the snow. First off, this film is stunning. The visuals, the cinematography and the sets are all wonderfully constructed to create an undeniably pleasing film. Fortunately, the scenery doesn’t steal the entire show as the movie also contains an incredible cast. 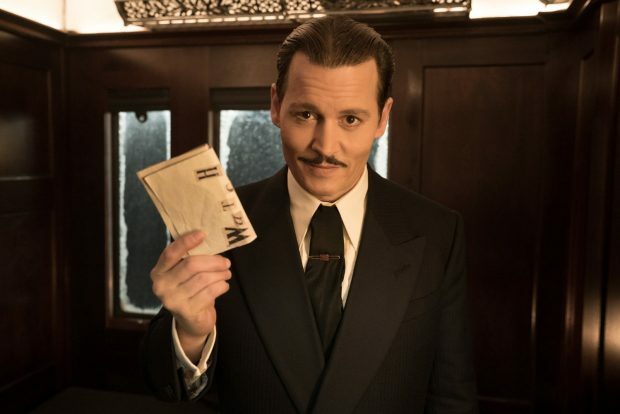 Johnny Depp, Daisy Ridley, Josh Gad, Penelope Cruz, Michelle Pfeiffer, Judi Dench, and Willem Dafoe all lend their prowess to further the incredible talent that backs this murder mystery. The problem is “Murder on the Orient Express” is that it’s underwhelming. For as stellar a cast as the movie boasts (as well as a beautiful visual design) it’s irritating how dry the film really is. This has less to do with the acting and writing, however, and more to do with the direction. Kenneth Branagh not only stars in “Murder on the Orient Express” but he also directs the film. While he has certainly proven his salt as a director (“Thor”, “Cinderella (2015)”), his style, unfortunately, undermines the essential engagement a movie like this desperately needs. The film largely consists of interviews and interrogations of the train’s occupants. While the dialogue is smartly written, the majority of these conversations boil down to the same formula; Branagh gets to know a passenger, then reveals he knows that this potential murderer has been lying to him. The suspect goes on to say something that furthers the case and brings to light something seemingly innocuous. This repetitive structure leads to the film being, at some moments, rather boring. The witty dialogue means nothing when it predictably and inevitably goes in the same direction as it had before. No star-studded cast and beautiful scenery can save a movie that, for the most part, doesn’t go anywhere. As “Murder on the Orient Express” meanders through the mystery directionless, it becomes quite difficult to become engaged in the story. The intrigue becomes lost in the struggle to pay attention to what’s happening on screen. It’s a shame because the film is quite beautiful. Reviewing “Murder on the Orient Express” is discouraging and it’s a movie that is inherently difficult to recommend. If you’ve read the book or seen a different film adaptation, I’d recommend you give this latest version a pass. For those who don’t know the outcome or final twist, the movie may be something you may want to check out if only to discover more of the works of Christie. Or, you know, just read the book.